We're all about healthy eating and especially make-it-homemade kind of meals. The handy instant meals that you can buy from the grocery store are packed full of refined sugar, refined flours, and all sorts of chemical and preservatives that you don't even want to know about. They taste good, absolutely! But not only are our homemade versions quick and easy, they are cheaper than the store-bought versions, without all of the extra awful ingredients. That's always great right? 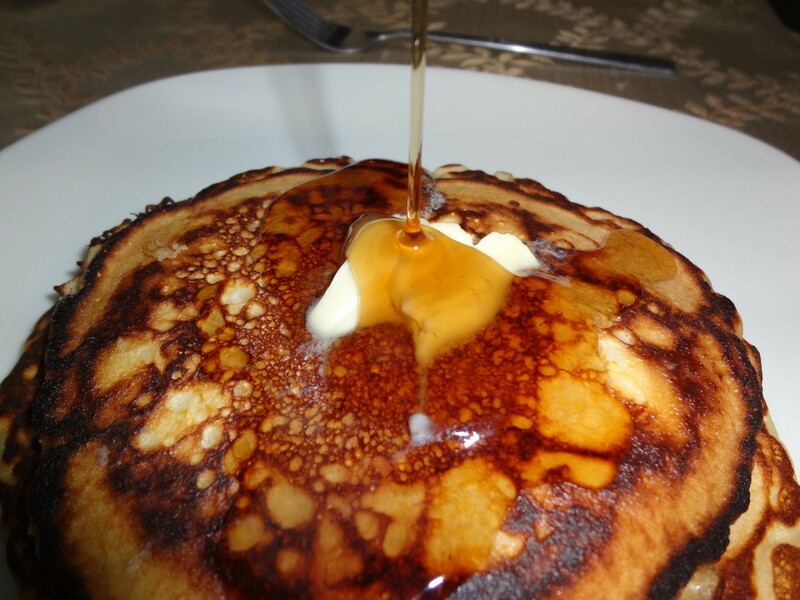 Well, even better for you then, while you're saving all of that money by making these yourself, notice how much better homemade tastes than the store-bought stuff. 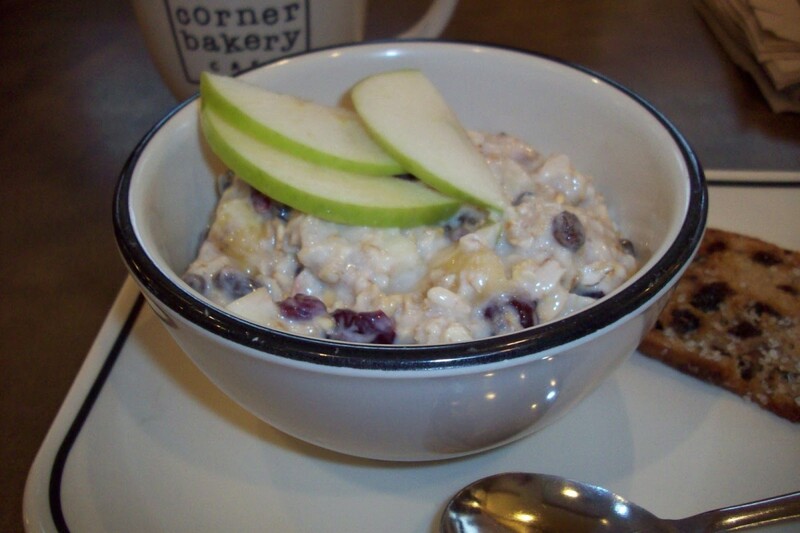 We make so many different great homemade options for breakfast around here. 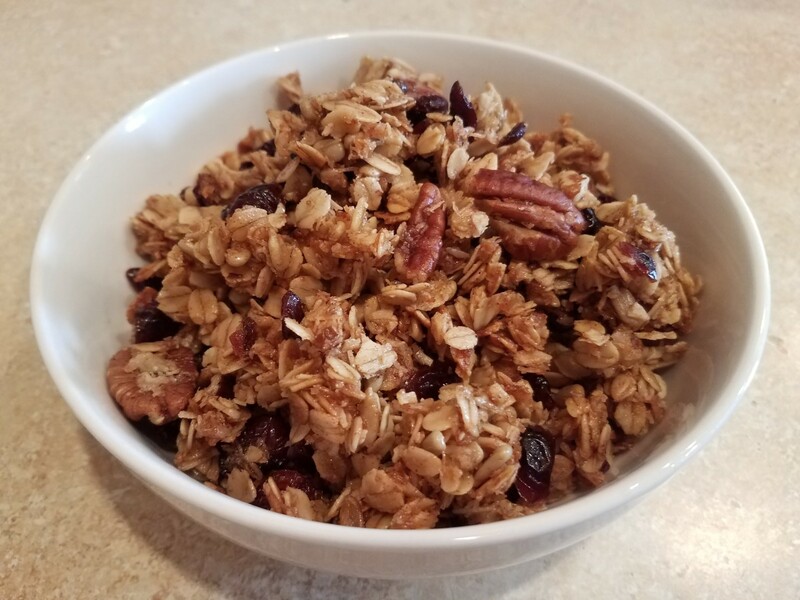 We have homemade granola and granola bars, homemade pancakes, waffles, French toast, cinnamon rolls, crepes, coffee cake, quiche, and the list goes on and on. 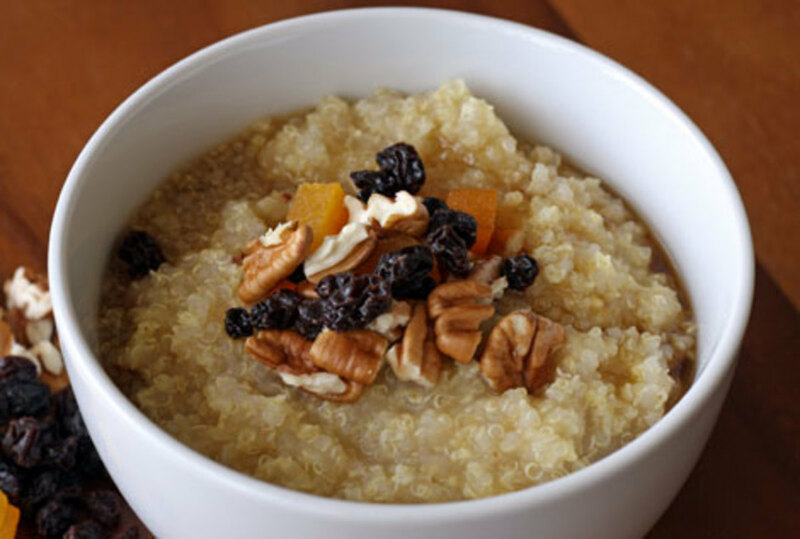 But with the cooler weather coming in, I found myself craving oatmeal. 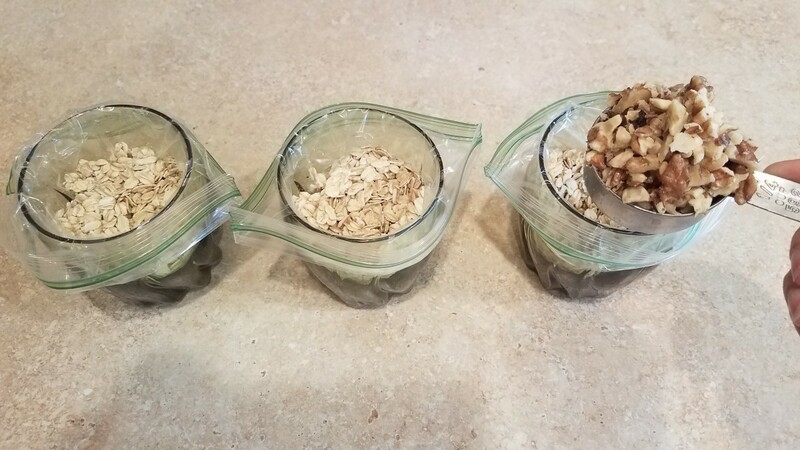 I certainly didn't want to have to go to the store and cave in to all of the awful ingredients I know instant oatmeal contains, especially when I knew I could make it here at home! What's really nice is that I have so many flavors to choose from if I'm creative, and I can add in just about anything I want to get just the flavors I'm looking for. If we run out of a certain flavor that I want, it takes five seconds to mix up another batch for myself. 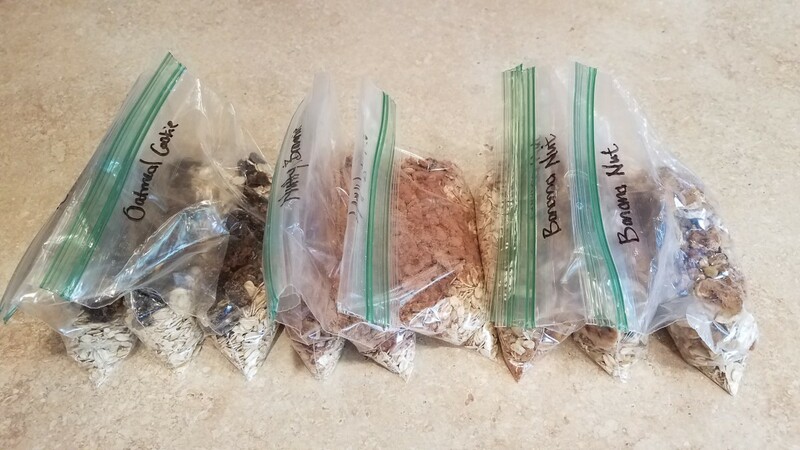 I can use fresh fruits or dried, nuts and/or seeds, and tons of different spices and add-ins. My favorite right now is Toasted Coconut with unsweetened shredded coconut, cinnamon, and ground flaxseed. Yum! The only problem with using fresh fruits, or even wet ingredients like vanilla extract, is that I would have to store them in the fridge or freezer, and I just don't have that kind of room. 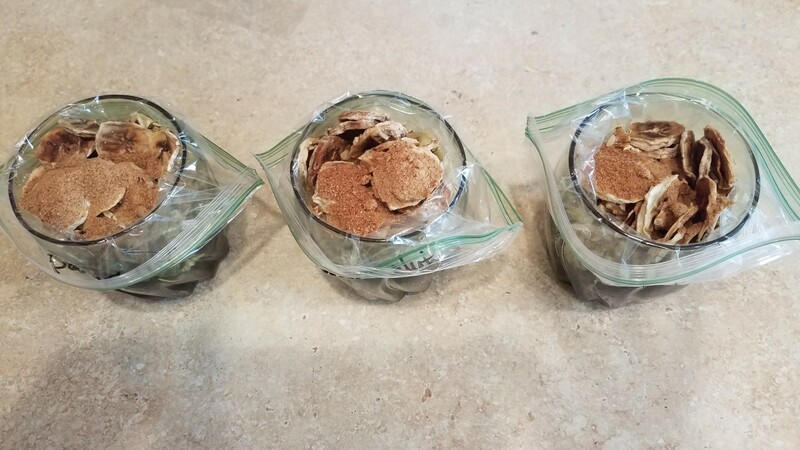 So I just use dry ingredients, or find the dried versions like dried vanilla, maple, and peanut butter, and then I can store them indefinitely in the pantry or another cabinet. 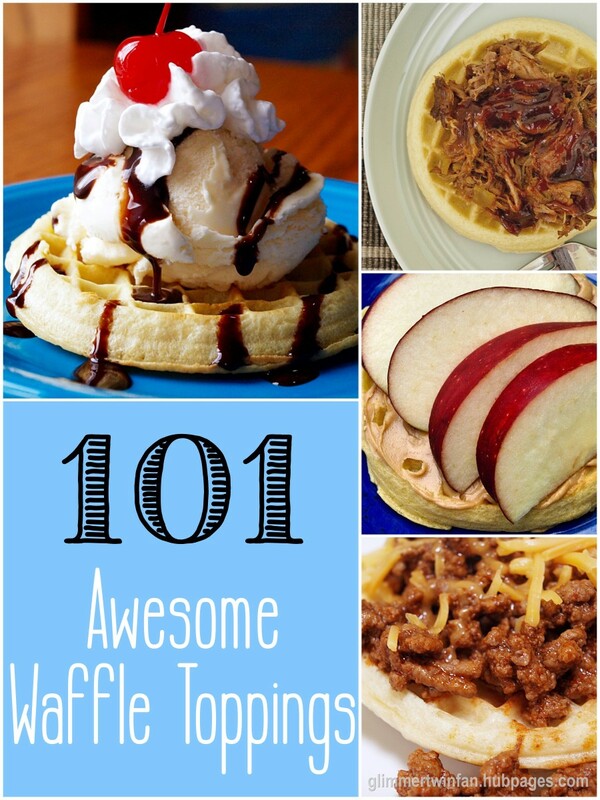 Let's see how easy they really are to make, and then we'll chat some more about options! 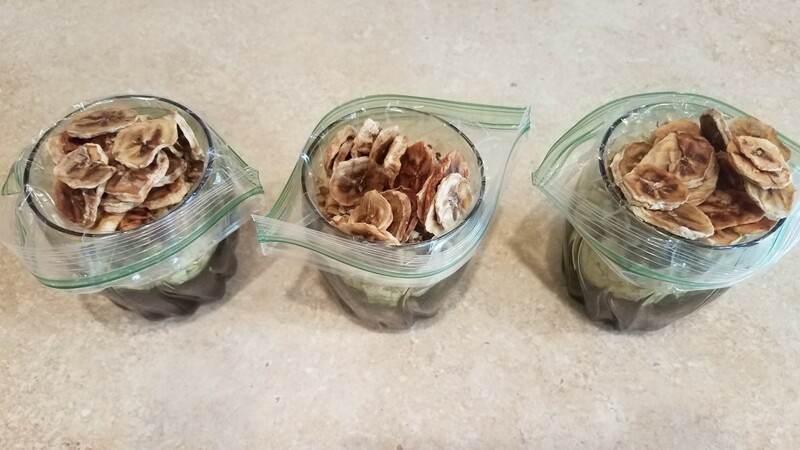 I started by folding sandwich bags over small glasses in order to fill each of my bags easier, and I only did three bags of each flavor. The ingredients above are for each individual bag. 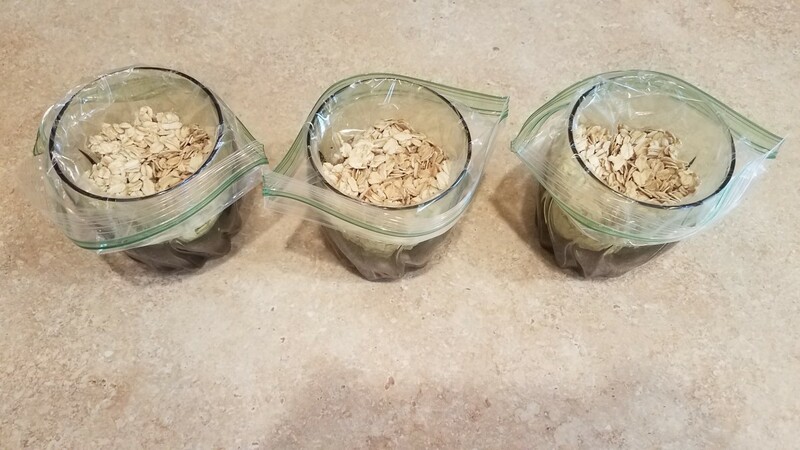 So I started by adding my oats into each bag. 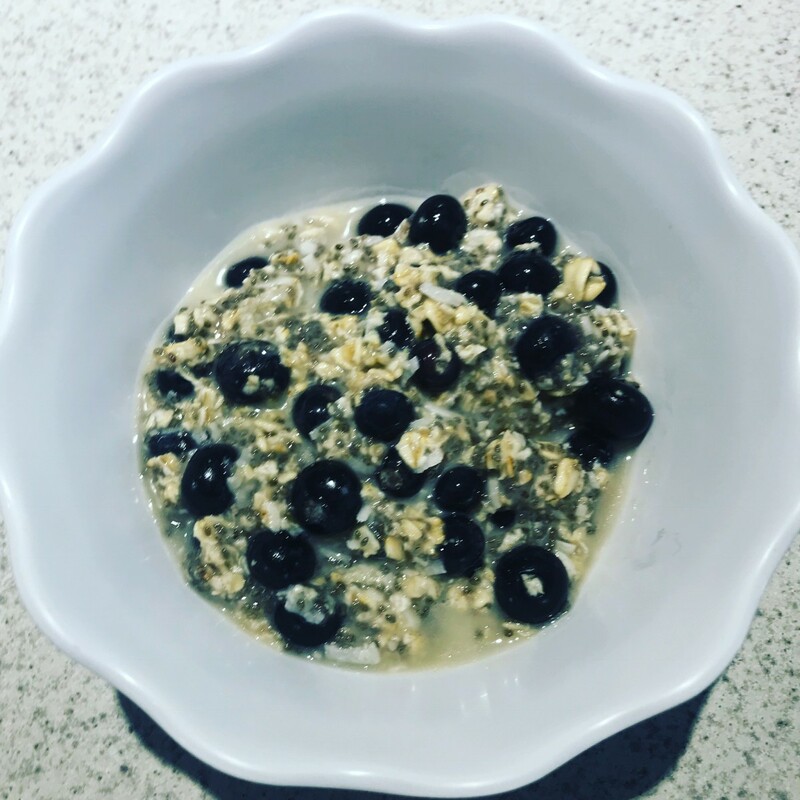 I used old-fashioned oats because that's what I had. 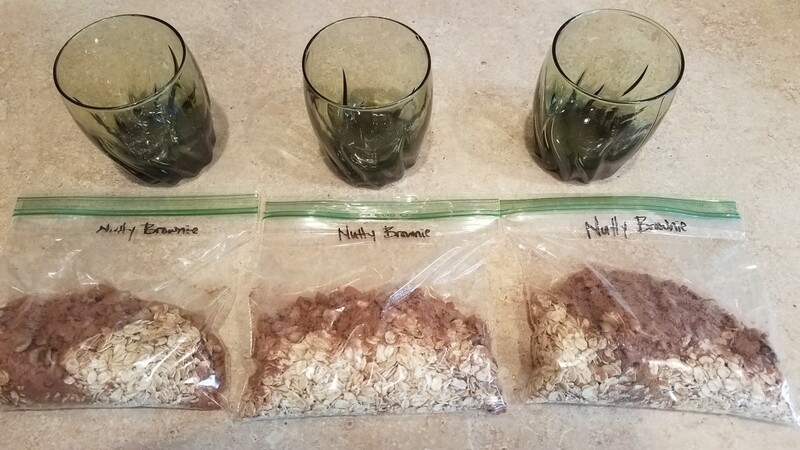 For the first set of bags, I made Banana Nut, so I added about 1/3 cup of self-dehydrated banana slices. Then I added about 1/3 cup of chopped walnuts to each bag. Finally I finished up with 2 tablespoons of coconut sugar. I decided not to add any spices to that flavor. I closed up each bag and stored them in the pantry until ready to eat. 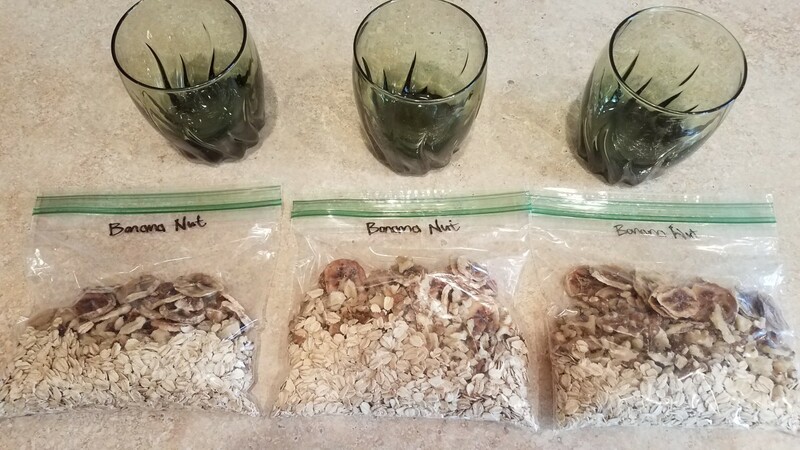 When you're ready to make your oatmeal, you can go several different ways. I like to pour mine into a mug and add hot water. I like mine soupy. My husband will add his to a bowl with 1 cup of water and microwave it for 2 minutes. He likes his thick and soggy. This is all your preference! Enjoy! 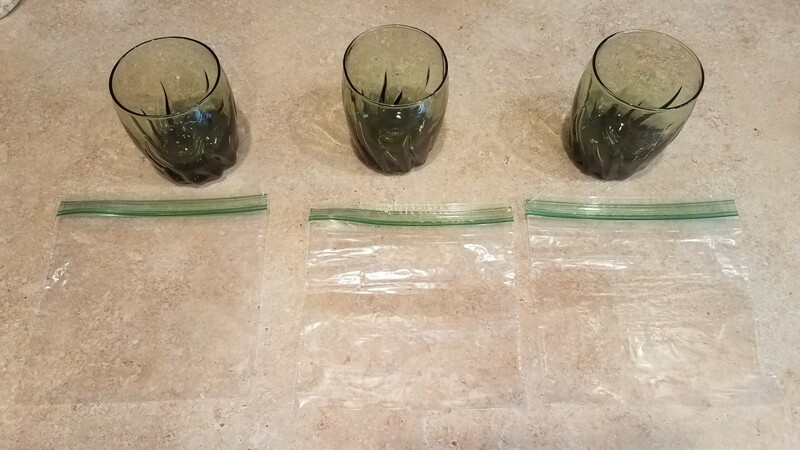 I started by laying out three small glasses and one sandwich bag per galass. 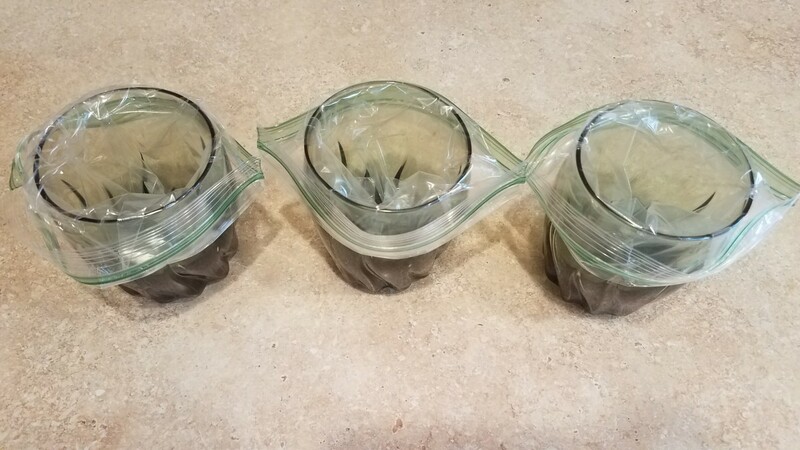 By putting a bag in each glass and wrapping it over the top, I found I could fill each bag without them falling over or spilling. 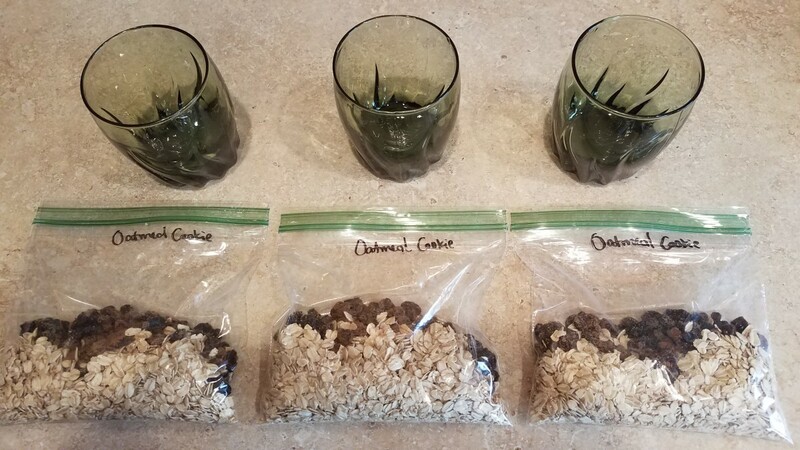 So here I started by adding 1/2 cup of oats to each bag. Then I chopped up my walnuts and added about 1/3 cup to each bag. 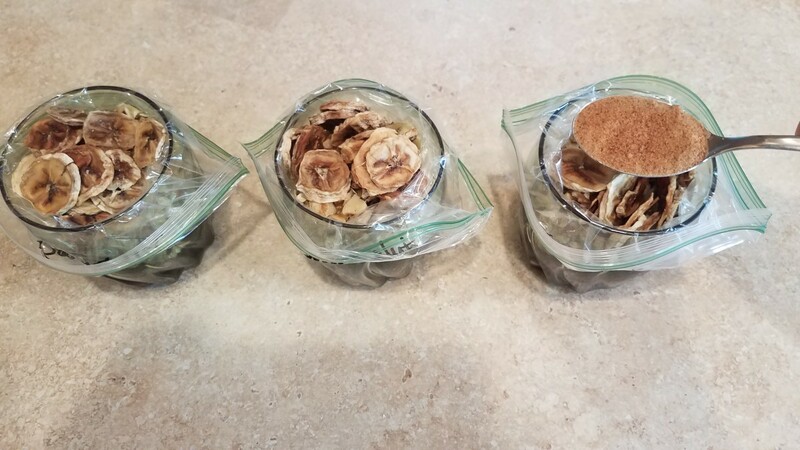 Next I added about 1/3 cup of dehydrated bananas to each bag. Finally I added my 2 tablespoons of coconut sugar. 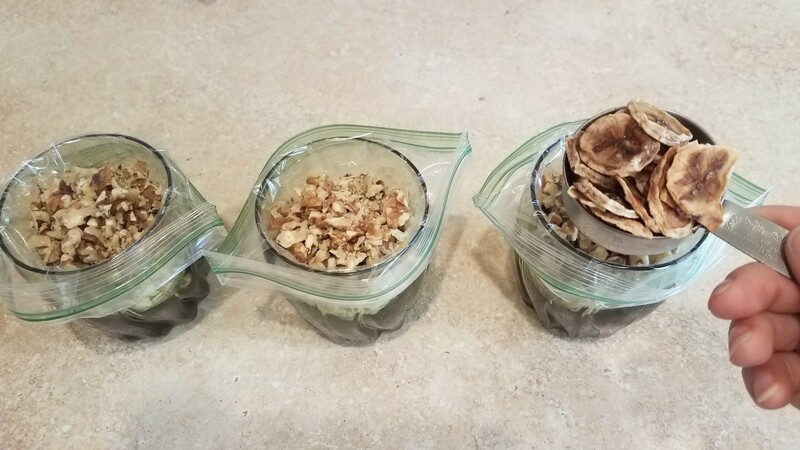 I closed up each of my bags and labeled them Banana Nut. I also made Nutty Brownie with walnuts and cocoa powder. And Oatmeal Cookie with raisins. Every bag got 2 tablespoons of coconut sugar. One tip you might like... if you add a teaspoon of chia seeds and ground flaxseed to each bag, you'll get a nice treat. 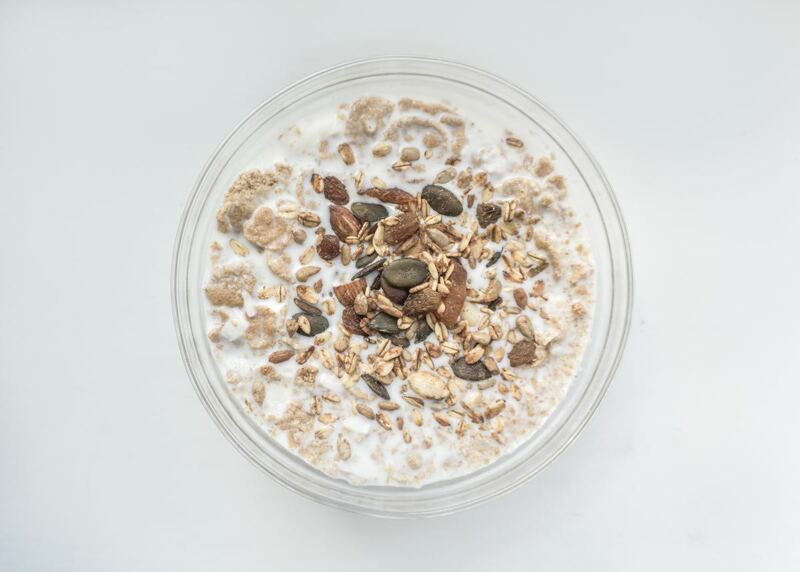 Chia seeds absorb liquid when they get wet, which will give you a different creamier consistency to your oatmeal, and ground flaxseed gives you kind of a toasted flavor, which is why I like it in my Toasted Coconut oatmeal packs. There are so many different flavors that you can make, just like the Nutty Brownie and Oatmeal Cookie that I made alongside my Banana Nut. I only made a few this time so my husband could tell me what flavors he liked and wanted me to make for him. Here are some of the great flavor combinations I've come up with. I'm sure you can think of dozens more to add to your own list! Don't feel like you are strapped down to any of my ingredients or measurements. These are your oatmeal packets. Get creative and have some fun with them. 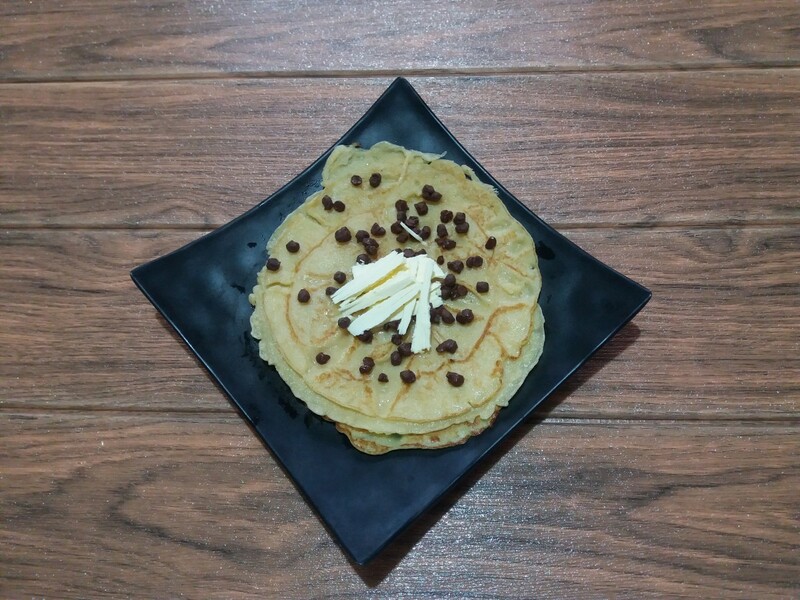 Think another combination would taste good? Go for it. Think one needs more bananas or more chocolate chips? Love it! In fact, if you come up with any more interesting combinations, I'd love to hear about them in the comments! I'd love to try them out myself. Wow! That's awesome. I'm so glad you were able to make it your own. How did they turn out? Cooked in M/W about 3 min. 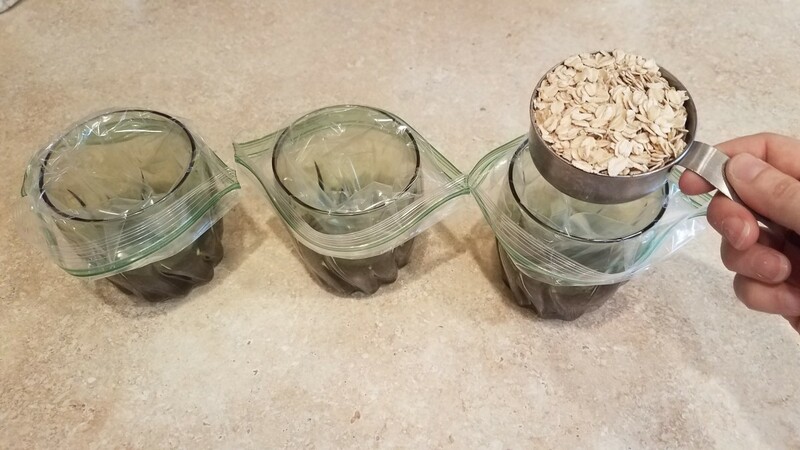 Tips: Adjust measurements and cooking time according to oat type and personal taste. This perhaps does not have as many healthy ingredients but it has enough... :) Yum. And thanks again! Yea! I'm so glad these helped you! If you'd rather not try finding powdered peanut butter, just add it to your oatmeal right before you heat it up (or add the hot water). It will soften right in your bowl and mix in well. Just about everyone has a good peanut butter at home. Truly don't be afraid to be creative and make this work for your household. Enjoy!